This is Argentine national jam. If you could only try two Argentine delicacies in your trip, they would be meat and dulce de leche. An Argentine piece of advice! This is Argentine national jam. 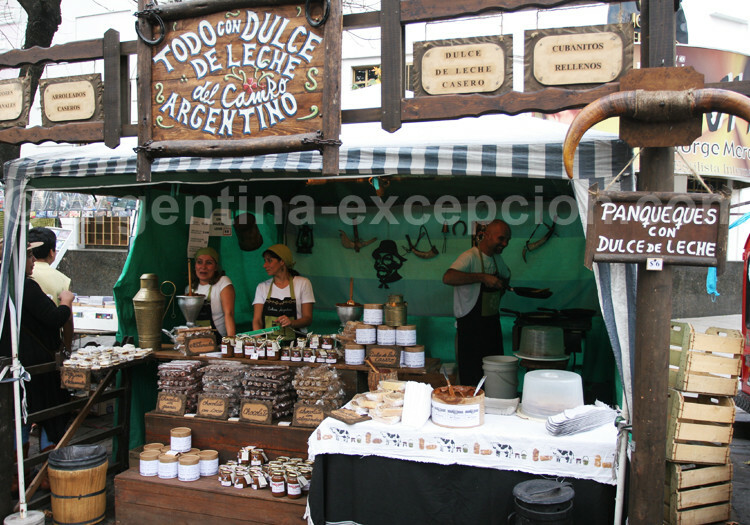 If you could only try two Argentine delicacies in your trip, they would be meat and dulce de leche. An Argentine piece of advice! In fact, dulce de leche is simply milk marmalade. This jam is not very frequently eaten in France or Europe but it has national Argentine status and you cannot miss it because you will find it everywhere. Dulce de leche is said to have existed in Egyptian times, however, Argentineans do not want to admit it: the popular tradition says that an American-Indian working for famous General Rosas was who forgot the milk with sugar on the cooker. Dulce de leche is said to have been born one night in 1829 when the General was about to enter into a treaty of peace. Anyway, Argentina is the main manufacturer worldwide and it is the country with more consumption per person all around the Earth. How is dulce de leche prepared? It is very easy to make it, just mix milk with sugar and heat it so that it becomes caramel. The secret is to measure the fire so that it does not become a solid hard block; such as the jam it must be sticky, smooth, almost liquid and with a nice brown color. This jam is very common in South America because it is made with regional products. You can find it from Venezuela to Ushuaia but it is mostly important in Argentina due to the quantity of cows and the great production of milk that had to be turned into products that could preserve it since milk can only be kept for some days and butter for some weeks. Dulce de leche in jars offered the advantage of keeping it for several months with its original flavor. This is the reason why in the 19th century Argentineans started to consume it in surprising quantities and then, in the 20th century the industrialization allowed an endless quantity of small companies to specialize in manufacturing this product. You must go to the supermarket and see how many different options of dulce de leche are available... thousands! There are varieties of brand, size and containers. Each one, as a fine professional, has their own preferences; the most easily accessible is distributed in a plastic 200-500g jar. The flavor is different in a glass jar (like marmalade), they say it is much better… It is ideal for a gift in its ancient container, that is, in a 500g round cardboard jar. How is dulce de leche consumed? For big eaters, with a spoon (it happens as with a Nutella jar, once it is open you cannot close it!) but it is first spread in the morning over the toasts or crackers for breakfast. Then it comes as a snack with coffee along the day as Argentineans put it everywhere: you can find it in the alfajor (biscuits filled with dulce de leche), or you can have it at lunchtime as a dessert in a restaurant you can have crème caramel with dulce de leche. 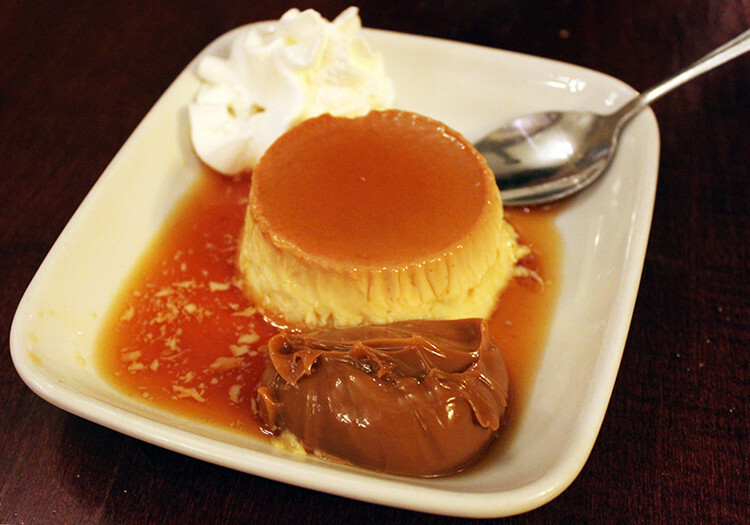 You will see the piece of crème caramel completely covered with an avalanche of dulce de leche. You can also try dulce-de-leche-filled chocolate similar to soft candies and, then it is up to you to imagine the other alternatives… Dulce de leche ice-cream, chocolate with dulce de leche, croissants with dulce de leche… You should have understood it by now, it is difficult to escape from this evil product! What is more, if you are invited to an Argentine home, it will be sin to reject it! You can go to see the product to Doña Magdalena en La Plata. 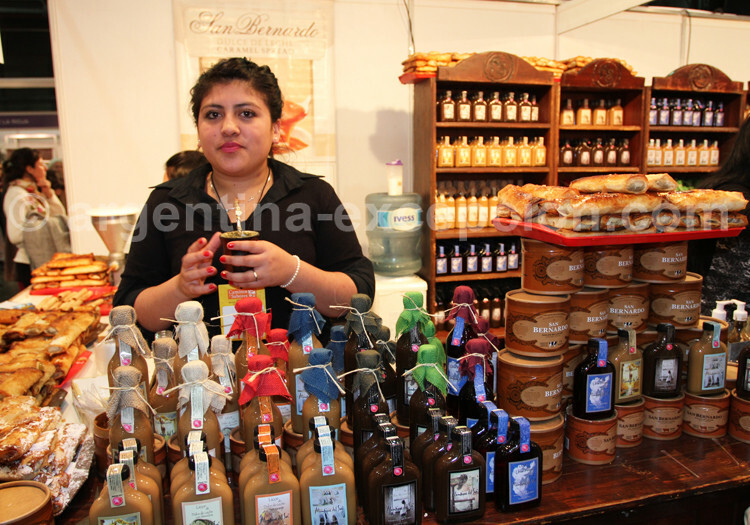 You can also try products from San Benito Abbey, as even monks make dulce de leche in Argentina! Argentina Excepción is an inbound travel agency located in Buenos Aires, specializing in luxury personalized tours of Argentina and combined with Chile, Bolivia & Peru.